Hand me downs...and I'm NOT talking about clothes here!! I remember what a blessing it was to have two daughters. When they were young, I could pass down the older ones clothes and save a ton of money. Hand me downs were always nice. Being a girl myself, I have had friends give me hand me downs and I have given away a lot myself. Hand me downs were always a good thing in my mind. I was sitting here this morning thinking about hand me downs. As a life-coach, I listen to stories on a daily basis of some not so helpful hand me downs people have been given. In our lives, we have life altering events that take place and those very events create limiting beliefs in our minds. Those beliefs are "seared" into our brains literally. They form a new neural pathway in our brain. It can be compared to the pathway around your yard if you have a dog. After going around the same path for so long, you can see the path as it gets worn down. It is the same way with our minds. When we hold onto these limiting beliefs, when we think the same thoughts repetitively, it gets further engrained in our brain. I'll give you an example. I have suffered a lot of loss in my life. My father left my life when I was a young girl, I lost a 4 month old child when I was 17, lost my mom when I was only 23, lost my breasts to cancer at 40, lost a 20 year marriage at 43, etc, etc. I remember when my dad left, even at such a very young age, I formed a belief that you can just "lose" people. So when I lost my child, it further confirmed that belief. With every subsequent loss, the belief became pure reality in my thinking brain. Every single trauma or tragedy that we have suffered creates a limiting belief. Dr. Jayne Gardner owns The Gardner Institute where I received all my life coaching credentials. I have worked with her for many years. She has a fascinating tool she created called a re-wire. Neuroscience has proven that we can actually re-wire our brains with NEW beliefs. Going back to the event and figuring out what limiting belief was created is the first step. 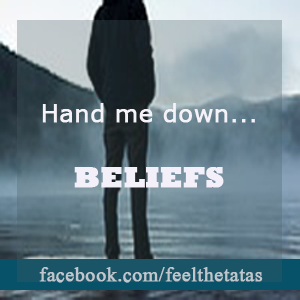 It takes a lot of work to install a NEW belief and therefore creating a NEW neural pathway. But it indeed works.